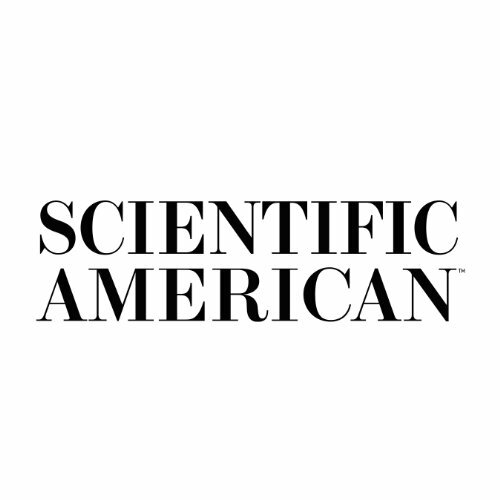 Showing results by narrator "Scientific American"
This special issue on energy solutions for a sustainable world includes five articles. First, it's an overview on how to cope with global warming with energy technology and policy. Then, we'll hear a plan to keep carbon in check, followed by how to balance the abundant supply and relatively low price of coal with its environmental risks. Biotechnology might offer the best way to keep some endangered species from disappearing from the planet. Robert Lanza, Betsy Dresser, and Philip Damiani investigate in "Cloning Noah's Ark." First, we'll hear about a theory of Autism that says when the brain's mirror neuron system malfunctions, perhaps lack of empathy and other characteristics of autism are the result. First, the cover story about the 3-million, 300-thousand year old baby - and what she means for Human Evolution. Next, we'll delve into the "Scientific American 50 for 2006" with 16 individual profiles of technology leaders. This month, we'll hear about inexpensive gene-readers that will soon unlock the secrets in your personal double helix, motherhood's effect on the female brain, a look back at the deadly tsunami of 2004, and the benefits of not testing new chemicals on animals. In the cover story, we'll hear the secrets of the expert mind, and find out how to become good at anything. Also, we'll take a look at the development of a new hypersonic jet engine for space planes, learn about the evolution of mountains, and hear about the ecological relationship between predators, prey, and the forests in which they live. In the cover story, we'll hear about the potential for stem cells to turn malignant. Stem cells are already known to be at the root of a handful of cancers, and might be the cause of many more. Also, we'll hear about some of the greatest achievements of the soon-to-be-retired Hubble space telescope, learn about the advanced color vision system of birds, and hear about the real-life effects of forensics programs like C.S.I. First, we'll hear about How to Blow Up A Star...and how some new models have recently succeeded in reproducing the two main types of supernovae. We'll also hear about viral nanoelectronics: viruses that coat themselves in selected substances and can self-assemble into nano-wires and other devices. Also we'll hear about: Regulatory T-cells...the peacekeepers of the immune systems. In the cover story, a new type of particle accelerator will help scientists answer some of the most profound questions about the nature of the universe. Also, we'll hear about thwarting nuclear terrorism, patenting DNA, and protecting New Orleans, as well as other coastal cities, from future disaster. This month, we'll hear about unusually smart animals, a new, even-greener brand of hybrid, a new compound that stops bacteria from mutating to resist antibiotics, and a look at the effect of globalization on the world's poor. First, we'll hear about the secrets of prehistoric supervolcanoes that once covered much of North America under two feet of volcanic ash. Also, we'll hear about new drugs that are offering better pain control, as well as powerful new analytical tools that should ensure the reliability of huge banking and communications systems. Finally, we'll take a look at the Ultimate Blood Test: 250 tests at once.